Wheatgerm is a natural source of many vitamins. Almost all vitamins, minerals and secondary plant nutritions can be found withing. 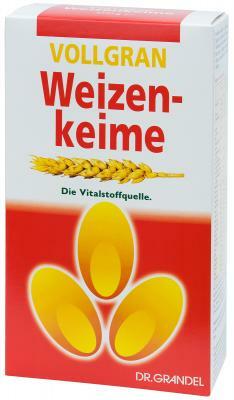 Wheat Germ also contains a very high amount of the anit-stress mineral Magnisum, Vitamin E, B Zinc and iron. Dr. Grandel natural bio wheat germ supports a healthy and balance diet.